Never has the phrase “New year, new me” been more true than it is for women everywhere as we enter into 2018. While being a stay-at-home mom is a job in itself, no more are the days of it being the expected path for women with children. Moms want it all and are finding ways to successfully blend motherhood and career. Many women are making huge contributions to every industry AND nurturing their children. With new attitudes towards the mommy entrepreneur, it’s evident, the new year is bright with the power of working moms. Moms are successfully impacting both the workplace and motherhood arenas, yet some of their necessary gear is still stuck in the past. 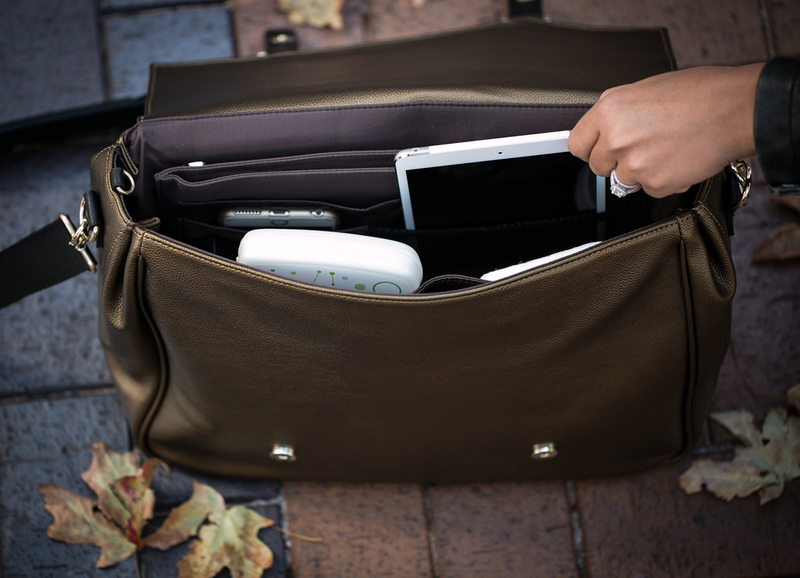 The diaper bag, a must-have that moms need to be able to take everywhere, is a key culprit. Many are not pretty, plastered with cartoon images, and very obviously a diaper bag. Needless to say, professional women cannot feel great about taking these outdated bags with them to the office. This is the main problem with diaper bags on the market today. Many don’t cater to the everyday woman, who is juggling a career and young children. Moms need a reliable, versatile bag that will take them from work, to daycare, to the grocery store, and back home again, all while staying stylish and organized. LENA by Cassandra luxury diaper bags do just that. Designed with the working mom in mind, these bags are fashionable, professional, and functional all at the same time, and are meant to seamlessly transition through your day. No more switching between work and diaper bag every morning. These diaper bags are stylish and appropriate to carry in front of your boss and your clients. Further, they are multi-faceted and extremely functional, making it easy for moms to be prepared for anything. Complete with organizational inserts, LENA by Cassandra diaper bags have a place for any item a mom might need throughout her day. Unlike the oversized diaper bags with only a few pockets, this organizational system has a place for everything which prevents digging endlessly for that something you need immediately. Whether it be pacifiers, toys, a pen, or file folder, these bags will give your life the organization it needs. Wherever you’re going, LENA by Cassandra diaper bags will ensure you have everything in one place while looking great at the same time. Fashionable, high-quality, and durable, no one would ever guess it’s a diaper bag complete with a foldable changing pad and stroller straps. Even women that don’t have children use them for work and travel bags! Moms will continue to do massive things in 2018, and LENA by Cassandra will guarantee that they look the part. Chic, versatile, and functional, these luxury diaper bags are here to give moms the new look they deserve.